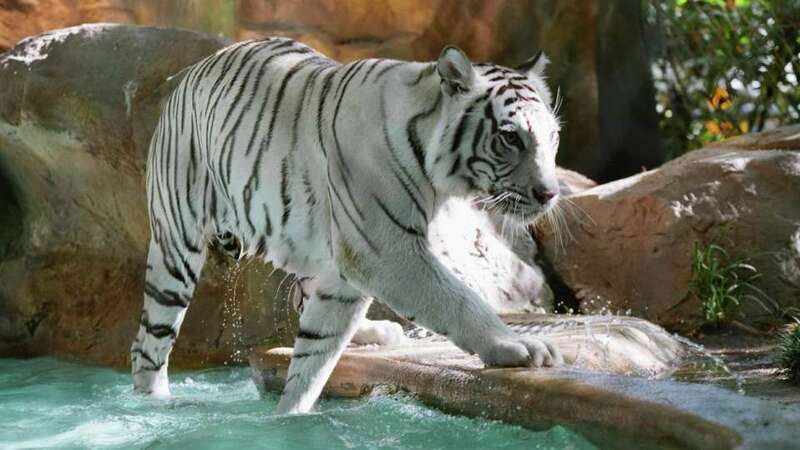 Come face-to-face with some of nature's most exotic and majestic creatures at Siegfried & Roy's Secret Garden and Dolphin Habitat. 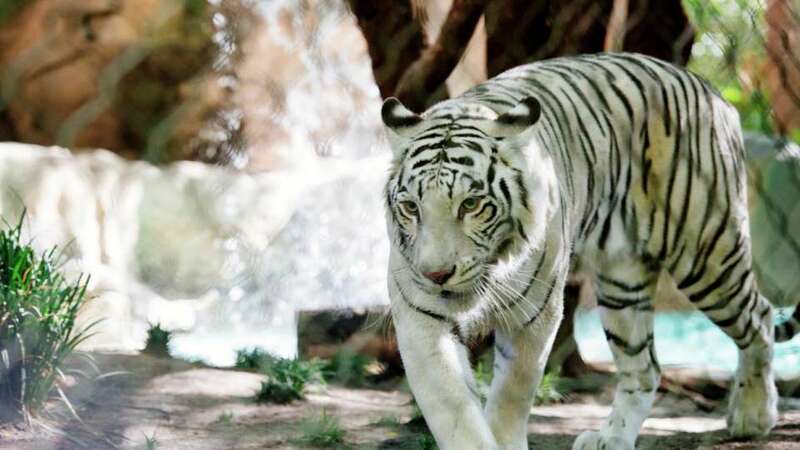 Explore, learn and play in an enchanting world of Bottlenose Dolphins, White Tigers, White Lions and Leopards, right in our backyard. 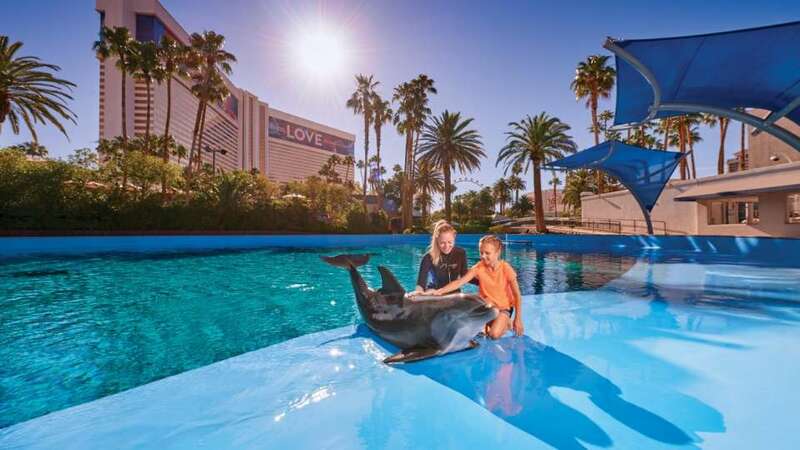 Get even closer with exclusive experiences that can't be found anywhere else in Vegas, including a behind-the-scenes VIP tour, Trainer for a Day, Painting with the Dolphins, and Yoga With the Dolphins. 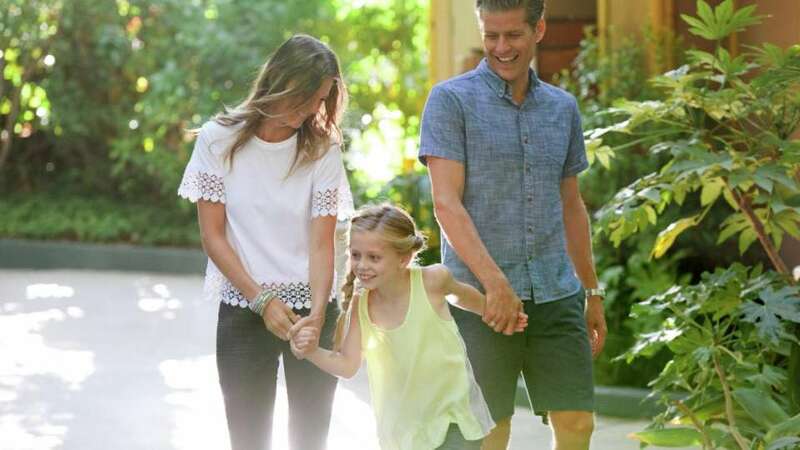 For more information on the Secret Garden and Dolphin Habit, please email secretgarden@mirage.com. Complimentary admission for children ages 4-12 who bring in a small creative work of art made of recycled materials. Complimentary admission for children ages 4-12 who bring a new or gently used book to donate. 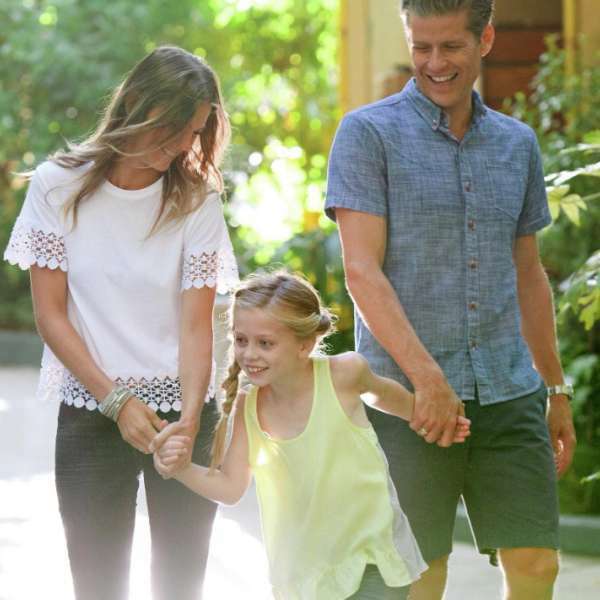 Complimentary admission for children ages 4-12 who wear bird related clothing attire. Buy One Get One Offer with valid ID (60 and older). Complimentary admission for toddlers ages 4-6. Call 702.791.7416 for more information. 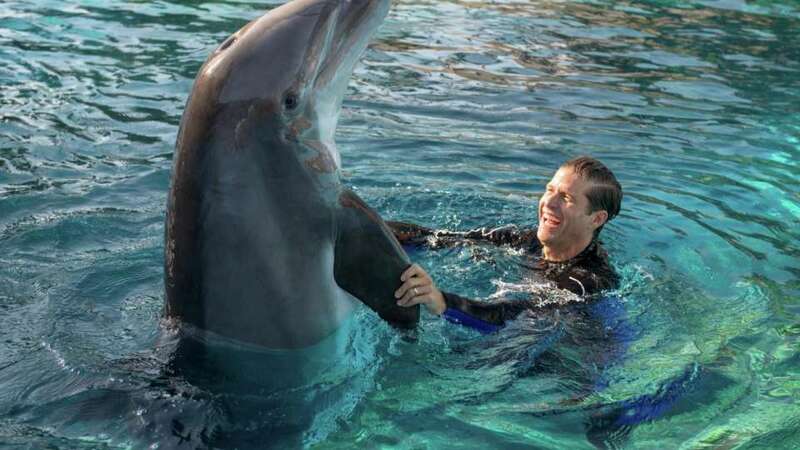 Have you ever wondered what it’s like to be a dolphin trainer for a day? 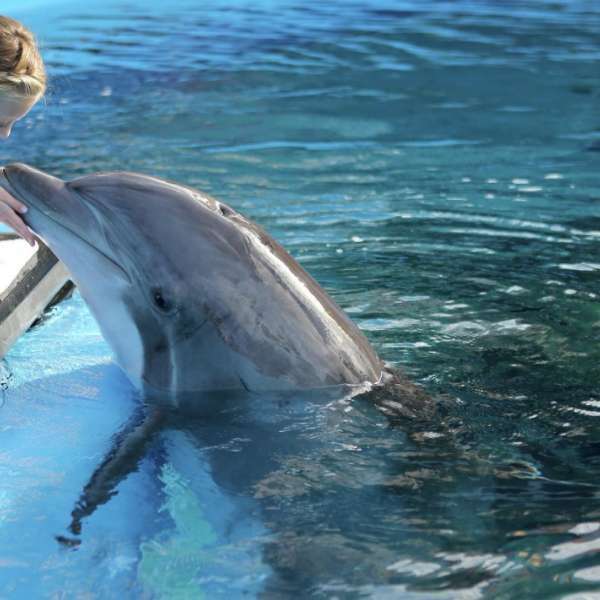 Feed, train and interact side by side with our dolphins and trainers. Must be 13 years or older to participate. 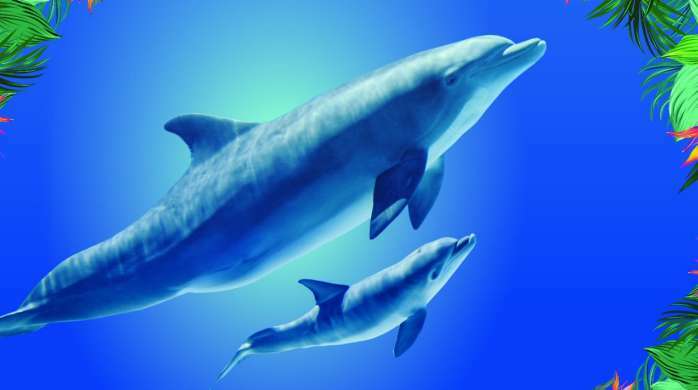 Collaborate with one of our bottlenose dolphins for a truly unique piece of art. Must be 8 years or older to participate. 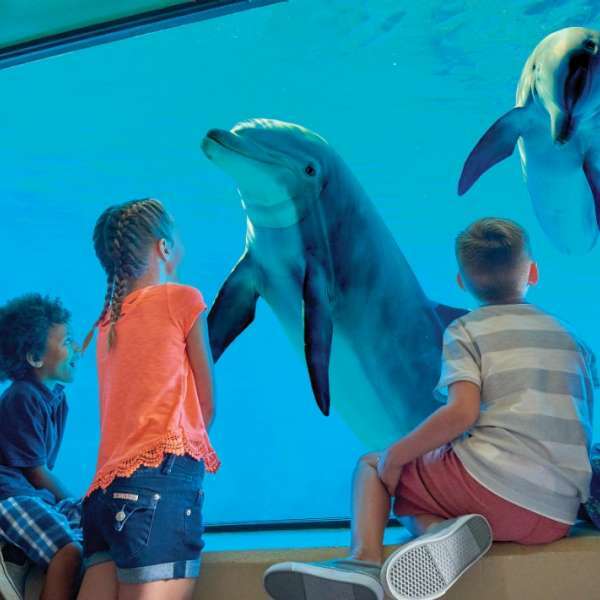 Tour our habitat like a VIP and meet a bottlenose dolphin. Up to 5 people per group. Up to 3 groups per time slot, led by one guide. 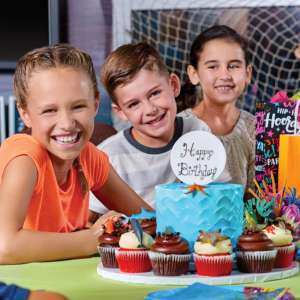 For additional details or to book your party, please call 702.792.7980. 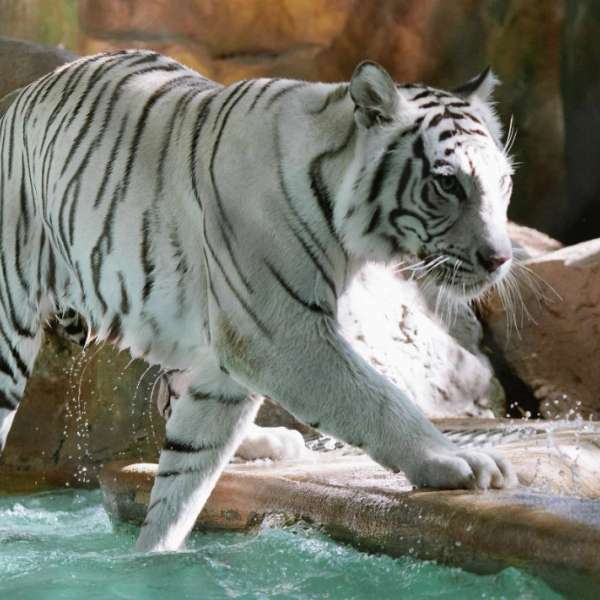 Adventure is waiting at Siegfried and Roy’s Secret Garden and Dolphin Habitat. 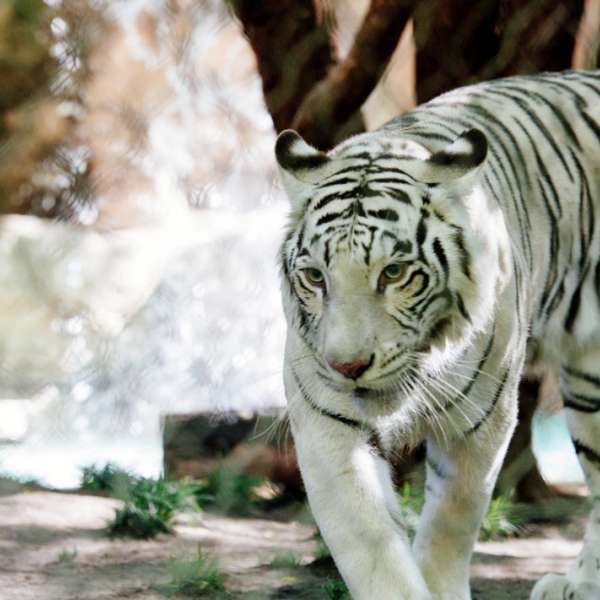 Mesmerize and educate family and friends while celebrating your special day with the magnificent animals right in our backyard. 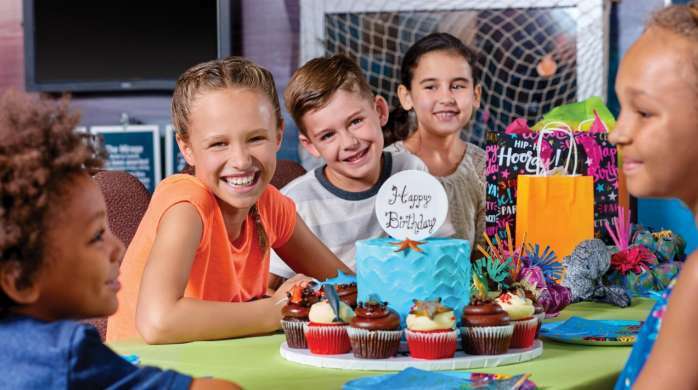 For additional details or to book your party, please call 702.792.7980. Call 702.791.7146 for more information. Find balance and serenity as you practice yoga among the dolphins in the underwater viewing area. 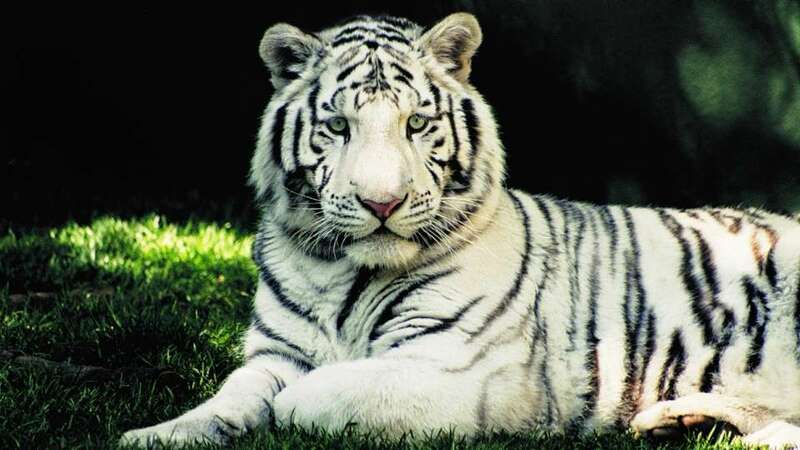 Our mission is to enhance guests’ understanding and appreciation of the animals and the environments in which they live. This is accomplished by highlighting the human-animal bond, bringing animals and people together through continued education and research. 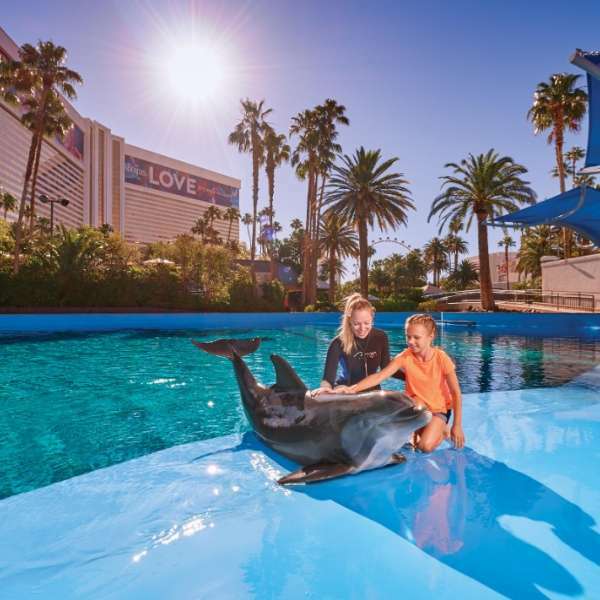 A portion of our ticket sales goes to support our education and research programs, which benefit dolphin populations in the wild and the environments in which they live. 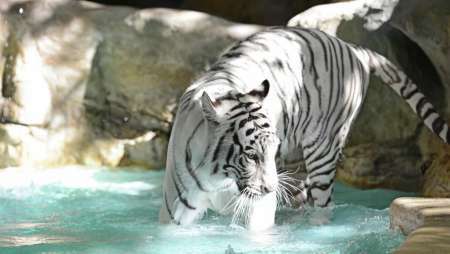 Siegfried & Roy’s Secret Garden and Dolphin Habitat opened in 1990 with a focus on scientific research, education and conservation outreach. 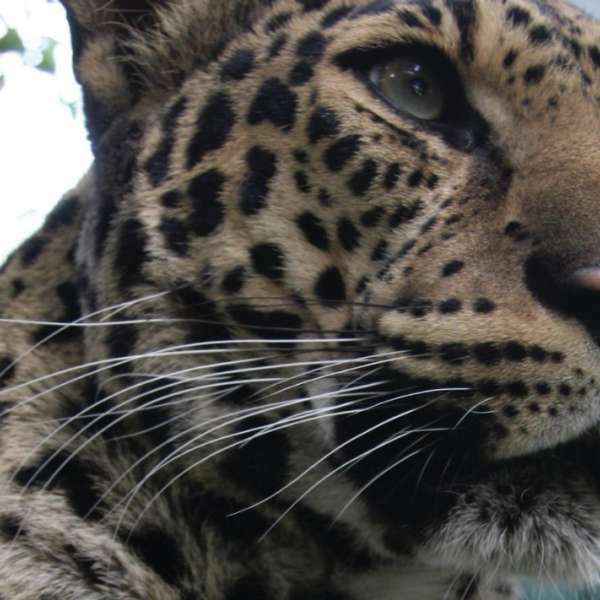 The animals are ambassadors for their species and ecosystems, and we take every measure to ensure their health and well-being. Be sure to visit our Sustainability Discovery Center featuring diverse interactive displays that engage and educate visitors on topics ranging from wildlife preservation and water conservation to ocean pollution. 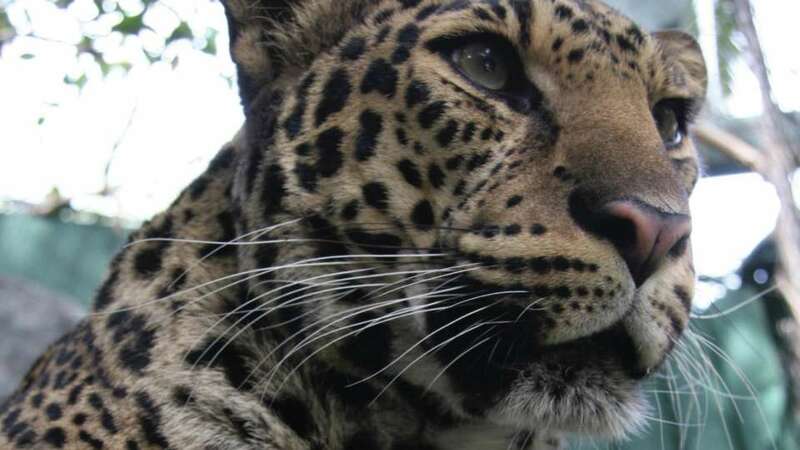 Our guided educational programs invite local school children to engage in activities where they can learn about our animals, ecosystems, conservation and more. 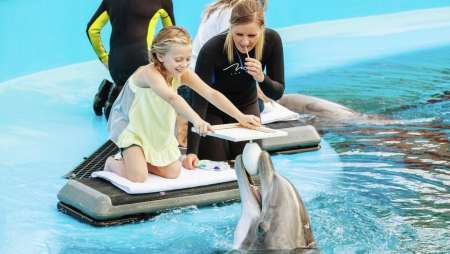 Students will have the opportunity to observe a narrated interaction between the trainers and the dolphins, and engage in a variety of activities. Meet our new baby dolphin! 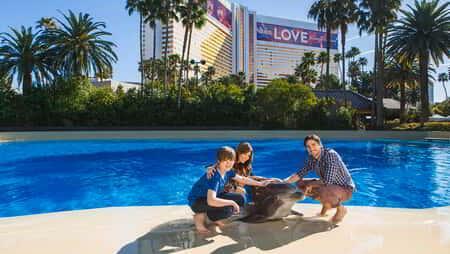 The Mirage’s new baby dolphin is making a splash. 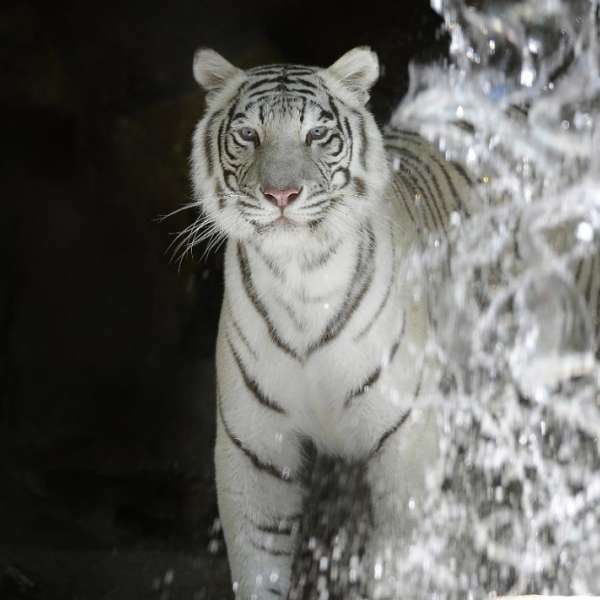 Meet the latest addition to our beautiful bottlenose dolphin family at Siegfried & Roy’s Secret Garden and Dolphin Habitat. 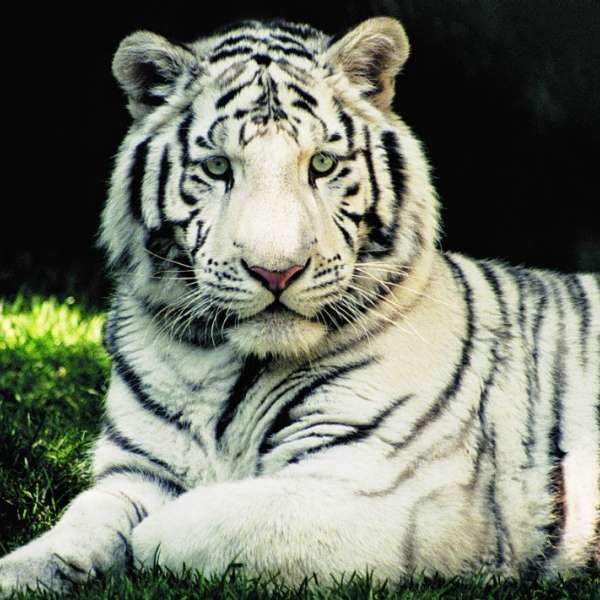 From dolphins to white tigers, white lions and leopards, many beautiful creatures call our back yard home. Come explore, learn and play today. 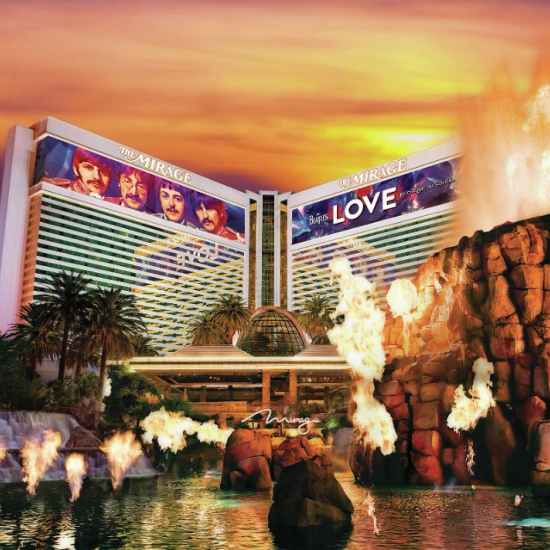 It’s an experience you won’t find anywhere else in Vegas. Please call 702.791.7188 for more information. 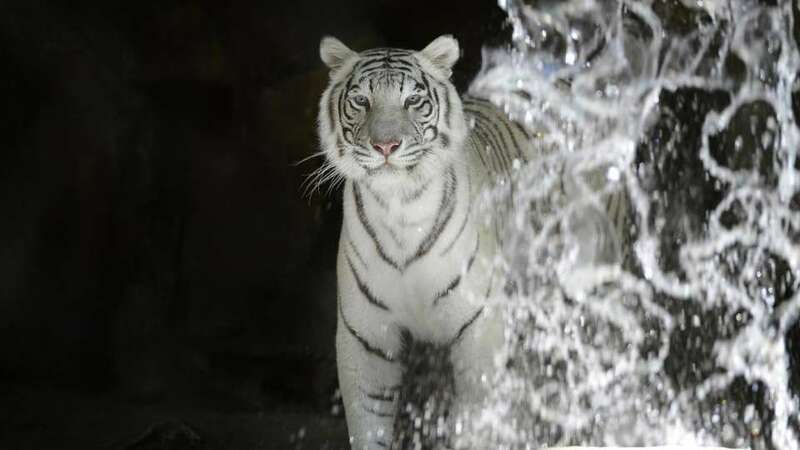 Admission pass is valid for the entire day of purchase, including re-entry. Receive unlimited entry for one year from date of purchase. 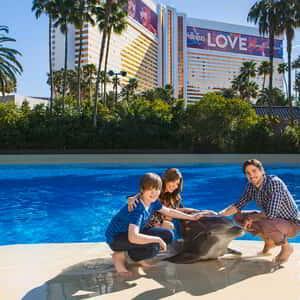 Available at the Secret Garden ticket booth, Mirage Concierge or Love Box Office Includes: One All-Day Adventure Pass to Siegfried and Roy’s Secret Garden, one dolphin plush, a 6 x 8 souvenir photo*, and one churro or fountain beverage. 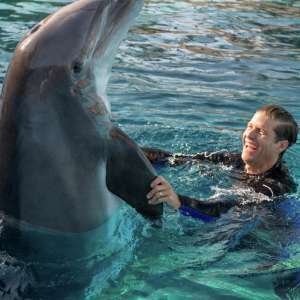 Get up close and personal with our dolphins as you work side by side with our Dolphin Care Specialists. This unique experience allows guests to participate in the training and overall healthcare of our dolphins while learning about the habitat’s important conservation and research initiatives. Minimum age 13; participants ages 13-15 must have a paid participant/observer accompanying them for the duration of the program. Participants 16-17 years must be accompanied by a parent/guardian to sign waiver forms at the time of drop off. 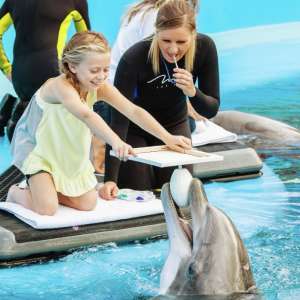 Witness the artistic talents of our dolphins as you work together to create a truly unique piece of art. With a canvas in your hands, watch as our bottlenose friends bring their art to life. You will receive your masterpiece, a sticker with the dolphin artists’ name on it, and a photo of your experience..
*Maximum of 4 guests per time slot. 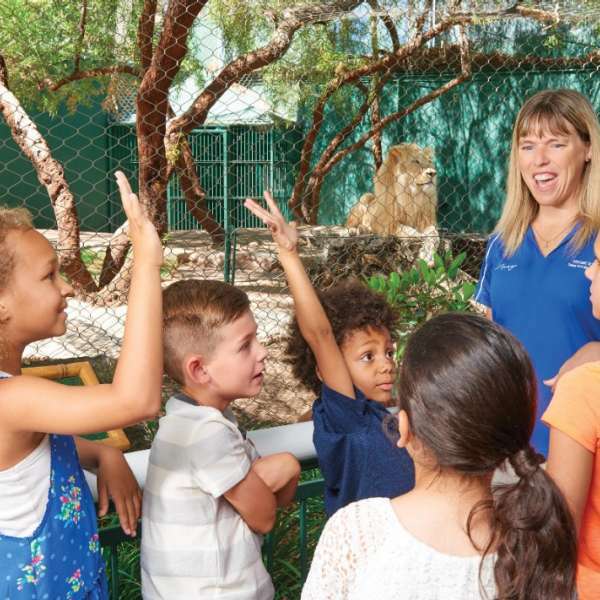 Enjoy a one-hour guided tour behind the scenes where you'll learn how our specialists care for all animal ambassadors. Every participant receives a complimentary 6 x 8 group photo to commemorate the experience. Start your day in peace and relaxation with a 1-hour morning session of stretching, breathing and guided poses. 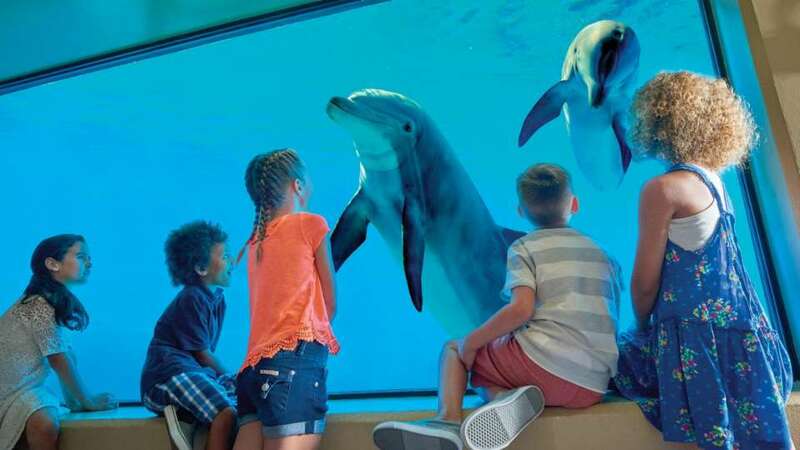 Find balance and serenity as you practice yoga with the dolphins in the underwater viewing area. Reservations are required. Participants will be provided with use of a secure locker, yoga mat, and exercise towel. Admission not included in party price. Prices vary due to seasonality. 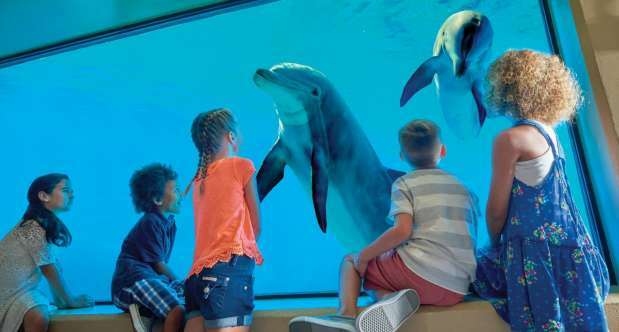 Get an up close look at the amazing dolphin habitat. 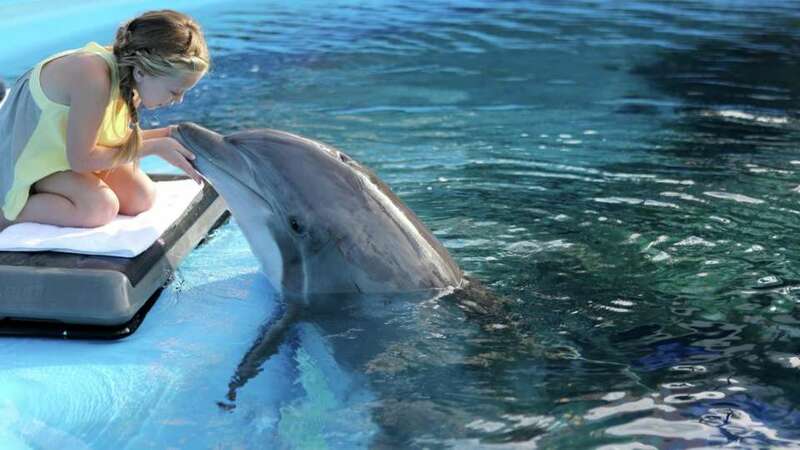 Birthday girl posing with dolphin. 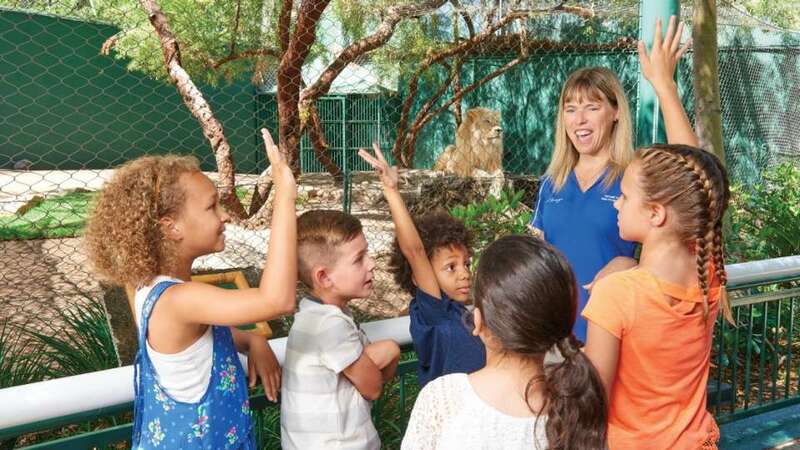 An educator leads children on a guided tour of the Lion exhibit. Walk into the Casino and turn right just past Lobby Bar through the Atrium. Turn right past Heritage Steak towards Otoro. Turn left and walk through the Casino Floor to the M life desk. Continue through the Retail Promenade to Blizz. Turn left and continue out the doors to the pool. Secret Garden and Dolphin Habitat will be on your right. Enter the resort from Las Vegas Boulevard. Walk through two bronze mermaid statues towards the Atrium. Turn right past Heritage Steak towards Otoro. Turn left and walk through the Casino Floor to the M life desk. Continue through the Retail Promenade to Blizz. Turn left and continue out the doors to the pool. Secret Garden and Dolphin Habitat will be on your right.